Noisy washer? Leaking laundry machine? Leave all problems related to this appliance to our expert team in Canoga Park, California. If you are resident here and have trouble with your washer, get in touch with us. Do you want to install a new one or routinely service the existing unit? You can still rely on our services at Mega Appliance Repair in Canoga Park CA. Our professionals are trained to replace the burned out and worn parts, fix any problem with the appliance, offer maintenance, make accurate diagnosis, and install new washers. What our company can also do for you is help you urgently. Is your washing machine dripping? 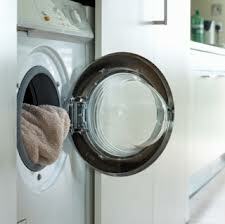 Contact us and expect same day washing machine repair in Canoga Park, California. Updated with the newest products, we are experts in all washers and their services. You can trust our washing machine technician to fix top and front load washers made by any big brand. Do you own a combination unit? As home appliance specialists, we have the expert knowledge to fix washer & dryer units. In any case, you can trust that our team can repair your washing machine in timely fashion. Does it fail to drain? Does it not spin? Let us find out why the appliance is behaving in a strange way. We come equipped with all required tools and washer repair parts. If parts are damaged, they are replaced. Most jobs are done on the spot. We can repair parts, remove them if they are worn and install new ones, level the washer and take care of any problem. Our company follows a similar pattern during regular washer service. If you call our team for annual maintenance, you actually avoid problems which come naturally after years of using the appliance. Are you looking for a technician to install a new washing machine at home? Contact us. We offer washer installation regardless of the appliance’s model. Our technicians are up to date with the latest washers and can install, service, and fix any model. Trust your washing machine repair Canoga Park needs to us for efficient and fast results. Call our company!